Parking Services, An Advantage or Detriment for Travel Visitors? I have been thinking about today's topic for quite some time. I have many acquaintances (online and offline) with people in local city and community governments, tourism bureaus, city information centers, hotels, restaurants, and attractions. And, of course, everyone's first goal is multiplying incoming visitors to their communities and businesses. Yet, I have seen more and more city parking meters over the past two or three years, pay parking services (private and public), and parking control strictly reinforced now by communities. 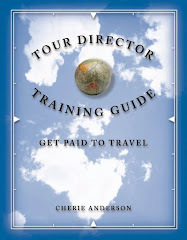 Does it make sense to spend dollars on fabulous travel marketing ideas when we nickel and dime our visitors that do come with parking management restrictions? Why should I explore your local community if I have to pay extra to use parking garages and or dig for extra change to park for a half hour at a parking meter? Do you pay more to park your car in an attraction or event venue parking lot than you pay for the actual ticket? And, why do hotels and restaurants now add parking fees to their guest's room night or dinner? What happened to complimentary parking? 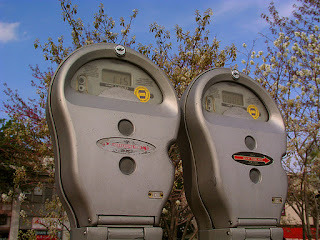 Okay, after my quick research using the History Channel website and Wikipedia, I found parking meters were actually invented in Oklahoma, USA, in the 1930s to eliminate the traffic congestion because of the rising number of automobiles. And, retailers actually liked parking meters because the meters provided a fast turnover of people with cars stopping at their stores – which seemed to increase their storefront revenues. What is the current purpose with parking management? Is this a way to eliminate the traffic congestion, or is this a tax for the local government and extra business income? When I drive into my favorite local community on a day trip, I really want to spend the day without hassle. I, too, want to save as much money as possible. I would like the option spending the extra $10 - $20 that from parking my car on my lunch or purchases. Yes, I enjoy going with a group tour, which my coach driver will manage these details. They have the same concern, which may increase the price of your tour ticket. My last thought, what do these parking meters and parking garages actually do to the skyline and sidewalks in your community? Are we attracting or chasing away our tourists and visitors from our communities, offsetting those valuable tourism advertising dollars we spend? What do you think? Parking management, advantage or detriment? Share your comments here. Thanks for visiting today. We would love to have your help in raising awareness and funds for Alzheimer's with every hotel reservation you make.